What Is The Purpose Of Credit Card And How Credit Card Work? It goes without saying that creating a food safety culture in your restaurant is crucial to success. Customers can read the food safety ratings on the wall which, law requires you put up. Isn’t it a much nicer feeling to have an A rating as opposed to a C rating. Plus, an A rating is excellent for business. Patrons want to know they are eating clean and delicious food. But, this can be difficult to accomplish without the right tools at your disposal. To illustrate, the SureCheck Advantage is a handheld device that offers sensor technology for temperature probes and even assures HACCP compliance. Furthermore, it offers cloud-based record keeping for auditing and analytics. A major part of enhancing food safety is temperature control. And, proper food safety is one of things you need to build a stand out brand. Isn’t your restaurant worth it? Establishing a culture of food safety starts with training every employee who handles food. In fact, food safety should never be neglected. And, it’s good to note that foodborne illnesses are preventable. The last thing you need is for people to get sick at your restaurant and all the bad press that comes about as a result. Remember Chipotle? In severe cases, unsafe food can lead to death. So, teach your food handlers about food safety and how to keep all surfaces, utensils and food equipment clean. They also need to know where to store specific foods and the right temperature for each–which is where a handheld device can absolutely come in handy. This isn’t rocket science. We’ve all learned about food safety since we were children. It just takes a bit more organization, thought and preparation when you are running a restaurant and serving food to paying customers. Your employees will be more motivated to embrace a culture of food safety if they understand why. Don’t just tell them what to do, explain why. Tell them why they should use different platters for raw meat and cooked meat. Share why it can be dangerous to use the same surface to prepare seafood and poultry. Why? Because seafood could be deadly for poultry eaters with seafood allergies. Food staff don’t always think of these considerations if they don’t have any food allergies. Tell why it is critical to follow each step in the food safety process from testing the food temperature to ensure HACCP compliance. When food is spoiled, you can smell it from a mile away. Plus, it gets sticky and attracts gnats. It’s just appalling in every way. Yet, food was meant to be enjoyed. And, your restaurant specializes in highlighting a wide variety of foods, putting them in their best light. With safe food handling, such as keeping them out of danger zone in food temperatures, you ensure a fresh tasting, pleasant smelling dish that amounts to a great dining experience. If left unchecked, microorganisms can spoil food or make people ill. In fact, bacteria can even produce heat-resistant toxins that cannot be fixed by cooking. Spoiled meats still smell even when you cook them. And, food safety prevents food waste too. 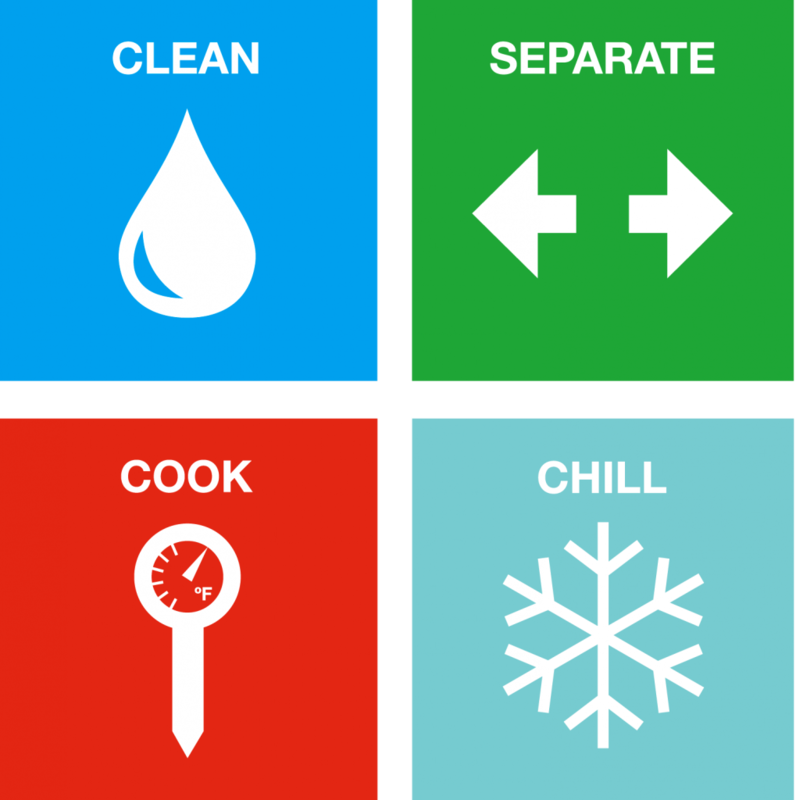 A culture of food safety should be a no brainer. It isn’t difficult to implement either. All it takes is for you to set the example and to explain why it’s important.